home Sloan MoBE Program New Sloan-funded project: Enabling Standard Metadata Capturing across projects, the MIxS Built Environment metadata project. New Sloan-funded project: Enabling Standard Metadata Capturing across projects, the MIxS Built Environment metadata project. 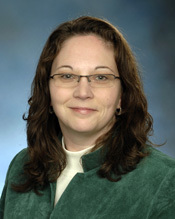 This metadata standards project, led by Lynn Schriml (University of Maryland School of Medicine, Institute for Genome Sciences), will provide the tools to foster standard metadata collection and analysis across the Microbiology of the Built Environment (BE) program. Consistent collection, analysis and visualization of parameters (metadata) describing the microbial organisms, their environment, the collected sample and subsequent sequencing methodology is essential to translating knowledge of microbial composition and genomic variability to identify potential causal linkages between microbial pathogens and human health. This proposal will address data consistency and integration challenges across the Microbiology of the Built Environment (BE) program to enable the capture of a minimal set of contextual metadata describing the sampling location, environment, sampled material, material processing and sequencing methodologies to enable structured sample metadata annotation, comparative data analysis, and collaboration. Development of the the MIxS-BE building and room metadata checklist as an extended, comprehensive set of metadata terms will provide a tool for consistent capturing of the wide variety of environmental, occupancy, building and architectural elements pertinent to one or more BE studies. The minimal and extended MIxS metadata standards will enable Sloan funded researchers, to share, exchange and compare sampling and sequencing study metadata and to explore genome and metagenome sequencing results through a common set of experimental descriptors across projects and datasets within NCBI public repositories, BE QIIME and MoBeDAC databases.